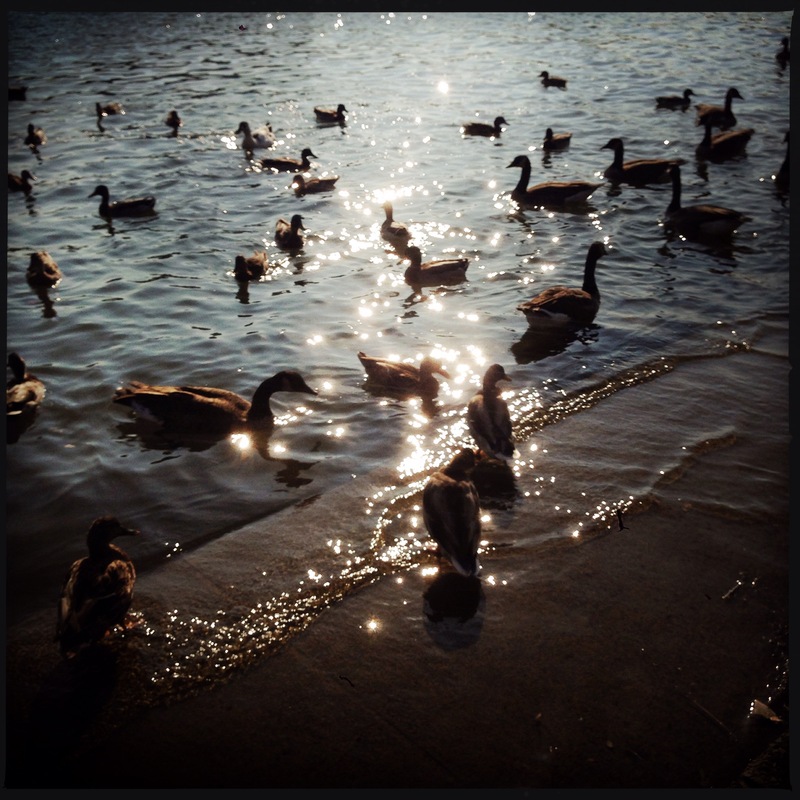 The Canada goose, the scourge of youth soccer players hoping not to slide through poop, is prevalent in the DC area. 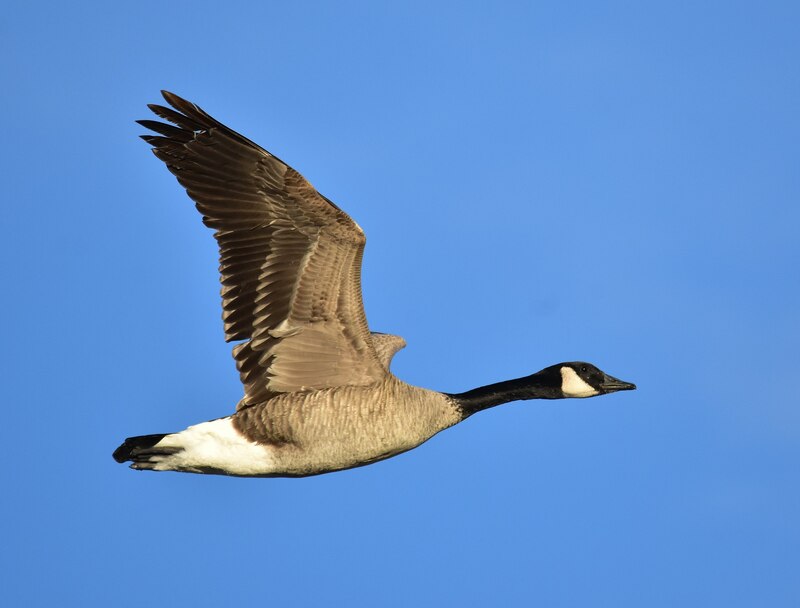 Although naturally a migratory bird, the Canada goose can be found in the DC area year round. They are easily recognizable by their white chinstrap set against an otherwise black neck and head. As large waterfowl go, they are not particularly aggressive towards humans (unlike swans, for instance). This is probably because they’ve come to expect little pieces of bread from us. 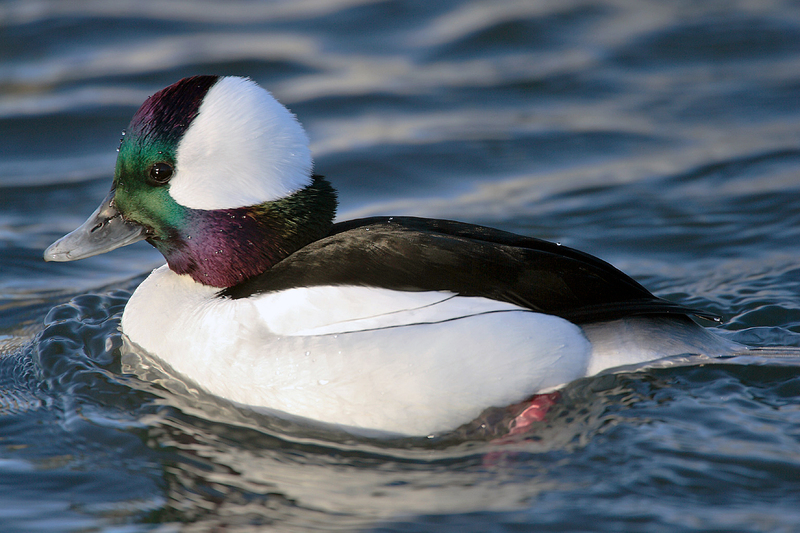 Probably the most common waterfowl you’ll find along the Potomac, this iconic duck is very likely the image most people think of when they think “duck”. They also are famously dimorphic, meaning the males and females look very different. 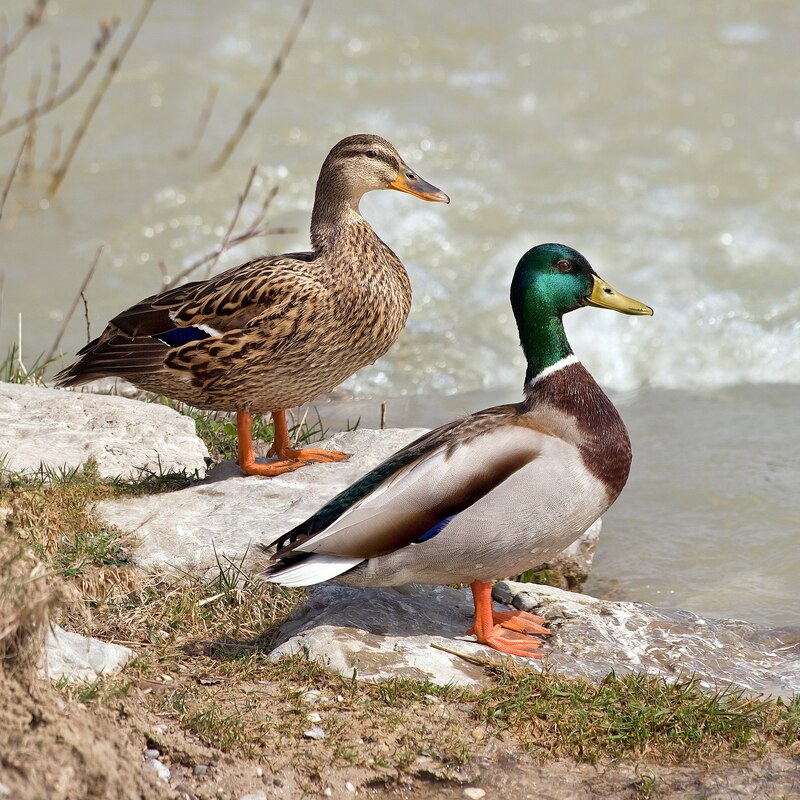 The male mallards have glossy green heads with a white ring around their necks. 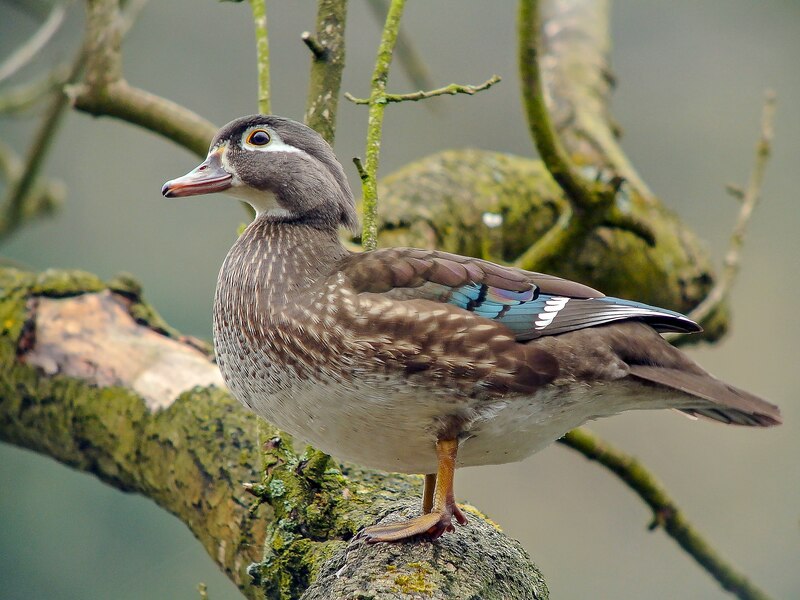 The female mallards are various shades of brown, with no flashy head gear. 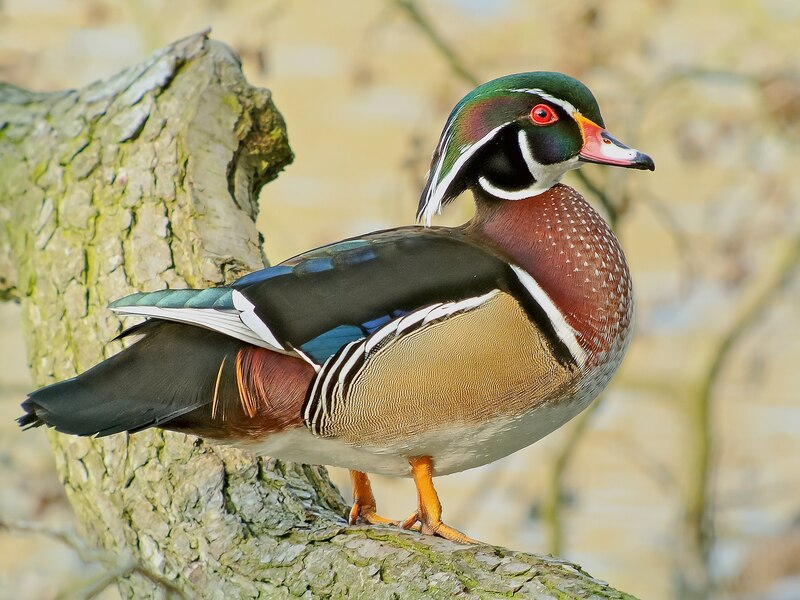 Mallards often plant their eggs up in the residential parts of Georgetown. When the ducklings hatch, they have to make their way down at least to the canal. Humans often help. 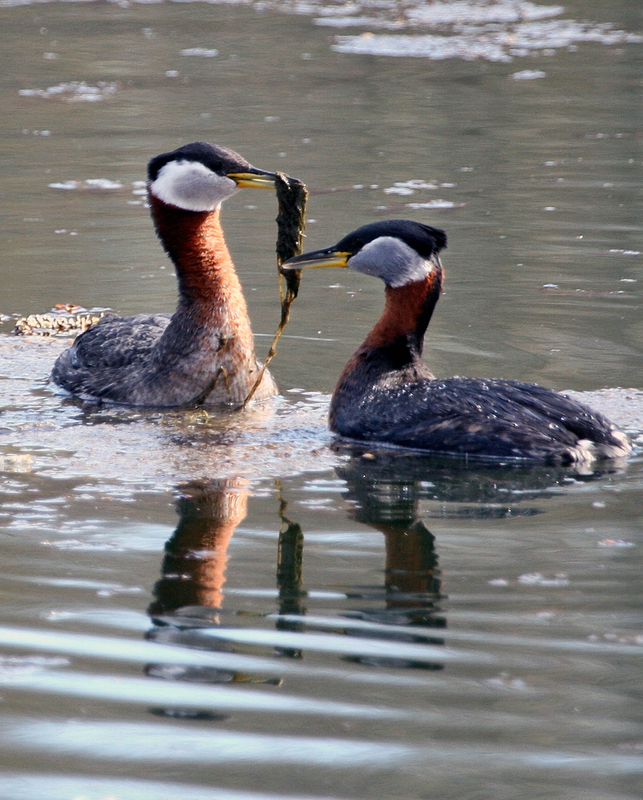 Another very common species you’ll find along the river in Georgetown are grebes. Above you’ll see red-necked grebes. 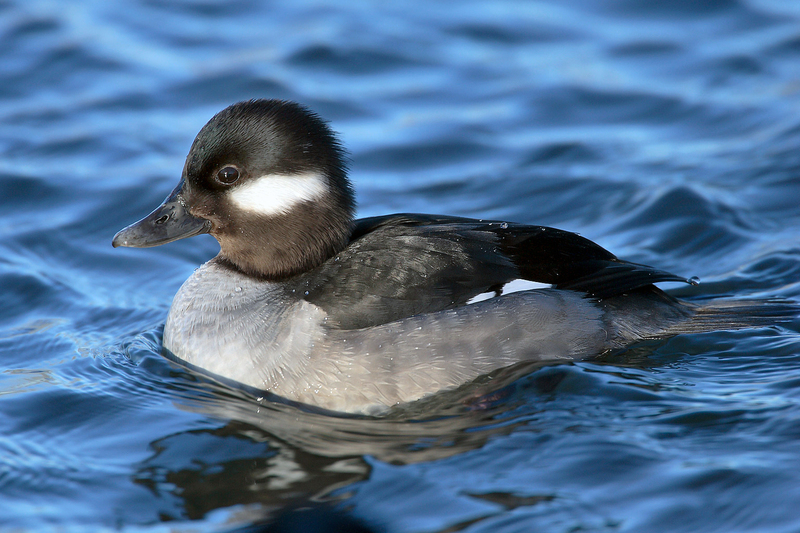 You’ll also see pie-billed grebe and horned grebe. They can often be see standing on rocks with their wings spread. While they can fly, they are even better divers. They use this skill to feed on fish. 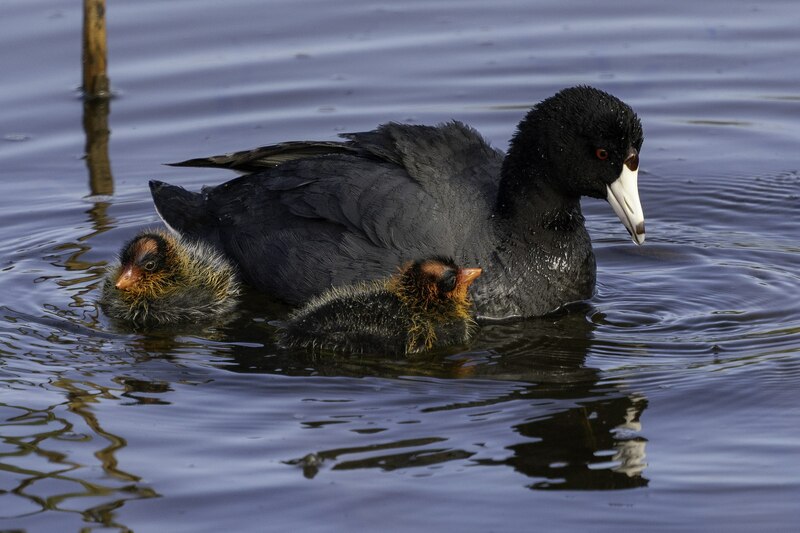 If you’re really luck you might see a coot. With its evil red eye, it looks like it’s hunting for wayward children to curse. 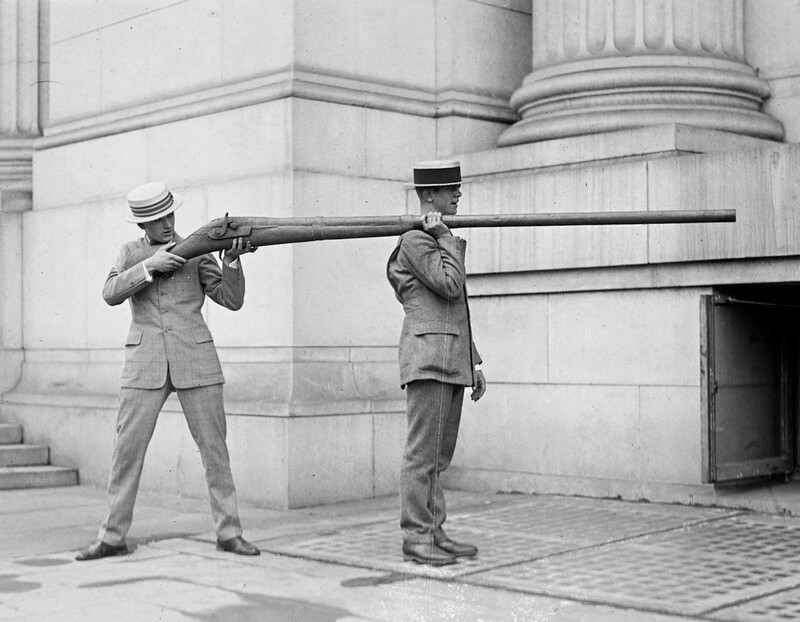 They were called punt guns, named after the boats that were used to fire them. 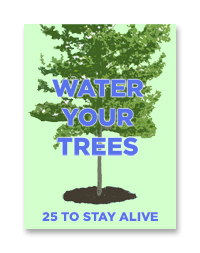 They were outlawed after they decimated bird populations.